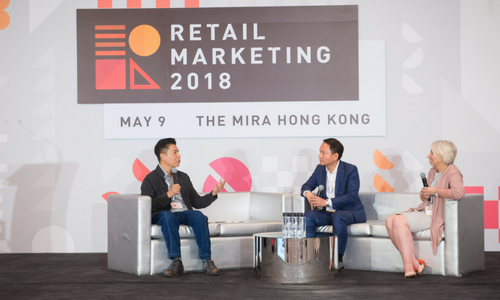 At Hong Kong’s 2018 Retail Marketing conference, Starbucks, G.O.D., and Fossil Group executives shared a panel to discuss strategies for today’s challenging retail environment. Andrew Hui, operations and marketing head of Starbucks Hong Kong and Macau, advised that “it is important to constantly differentiate your brand and up your game.” Starbucks is developing a reserve brand whereby staff, preferably known as partners due to their importance in the company’s success, can showcase their barista skills and engage more with customers. In going along with innovation yet still staying true to the brand, Starbucks has also recently added the element of alcohol to its menus. Both IFC and Alexandra House branches now offer coffee-infused alcohol amongst other alcoholic products. Due to the demand from Central’s clientele, Hui explained that they wanted to cater to and create that ideal environment for customers to engage with each other while consuming their products. Changes in shopping behaviors are also something to take note of. Anniemiek Ballesty, vice-present of Fossil Group greater China, admitted that “globally, e-commerce is taking a huge bite off the bricks and mortar stores.” Hui then shared that Starbucks has also jumped on e-commerce train and is developing more resources for its mobile app. While only 25% of Starbucks customers use the mobile app, the app serves to complement the business so customers have more options to personalise their experience. Hui also shared that Starbucks is taking its cue from China, where mobile app usage is rampant, and looking into integrating product delivery with the online experience. With e-ecommerce on a rampage, Ballesty said “the challenge, then, is how to use the online factor to support physical stores, and how to push traffic from online to offline and vice versa and still make it feel seamless for customers.” Ballesty cautioned that having an online-only brand is difficult; therefore offline, which provides irreplaceable interpersonal experiences, and online stores are necessary together to support each other. She referenced Alibaba’s “New Retail”, an app which constantly engages customers throughout the shopping journey from start to finish, as a great example of an integrated online and offline shopping experience. Furthermore, from initial thought of what to buy, to physical shopping, to actual purchase, Alibaba can now easily track customer journey to see where touch points occurred. More on his new role here. ..
"From a brand perspective, this incident could strengthen her brand among younger consumers.".. Courts invested an excess of RM20 million for the brand new Courts campaign along with a wider range of product offerings. More de..